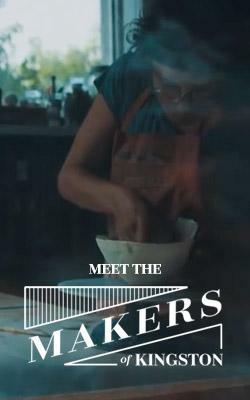 I grew up in Toronto. Nowhere near the water. But lucky for me, someone introduced me to canoeing at a young age, and my love for being on and near the water was born. I live on a road with three lakes. I work less than 1km from Kingston’s shores of Lake Ontario. And my job requires me to sometimes be on the water, and to help others experience water activities. Being a waterfront town, we are so fortunate to be able to get out onto the water from our lovely downtown! So, apply some sunblock, slip into some quick dry clothing and come and check out all the fun you can have exploring our waterfront! Downtown Kingston is situated at the confluence of three great waters: Lake Ontario, The St. Lawrence River, and the Cataraqui River (which is the south end of the the Rideau Canal). You can walk the shoreline via the Waterfront Trail, but why not take in the views from the seat of a kayak instead? 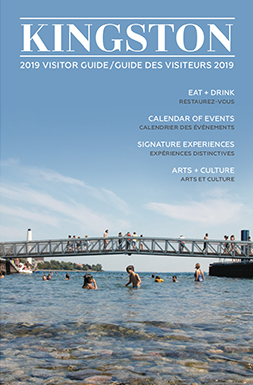 At the inner harbour, at the mouth of the Cataraqui River, you will find Douglas Fluhrer Park – you can slip your kayak into the water here, or at the dock at the Kingston Marina. From here you can paddle up the Cataraqui River on the Rideau Canal towards Ottawa, or slip out under the causeway and paddle the shore of Point Frederick, the peninsula that RMC is housed on. 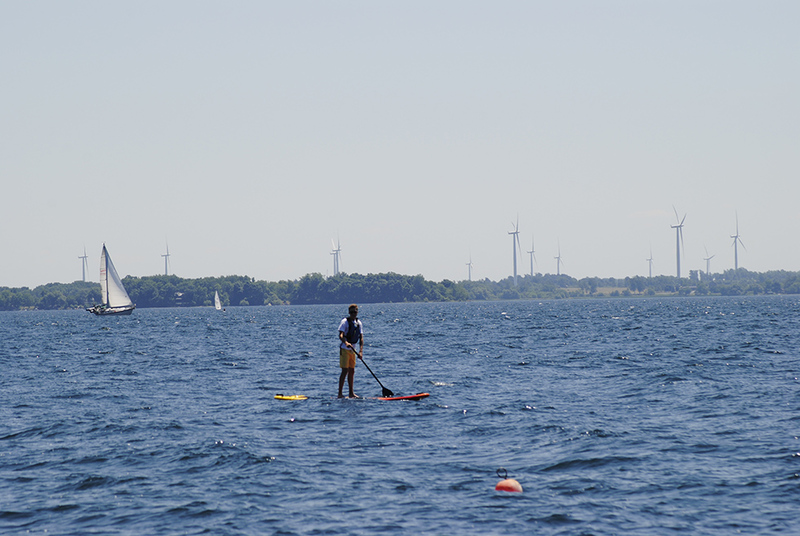 Check out the view of Fort Henry from the water, and paddle up the St. Lawrence a bit and circumnavigate Cedar Island. Need a kayak? Ahoy Rentals offers hourly kayak rentals, and Trailhead offers daily rentals! Not ready to venture out on your own? 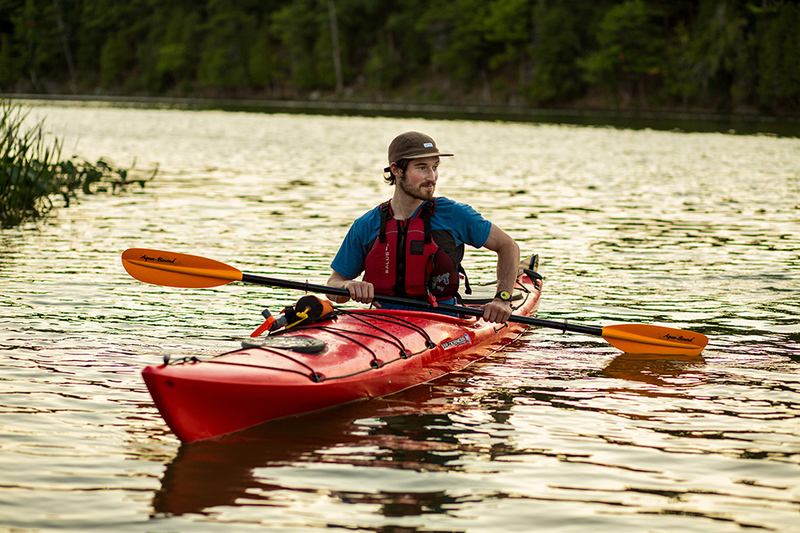 Trailhead offers a 3 hour Discover Kayaking clinic, designed for the beginner, as well as their Paddle & Pint, a two hour evening tour of Kingston’s waterfront, followed by a pint at one of our many local pubs. 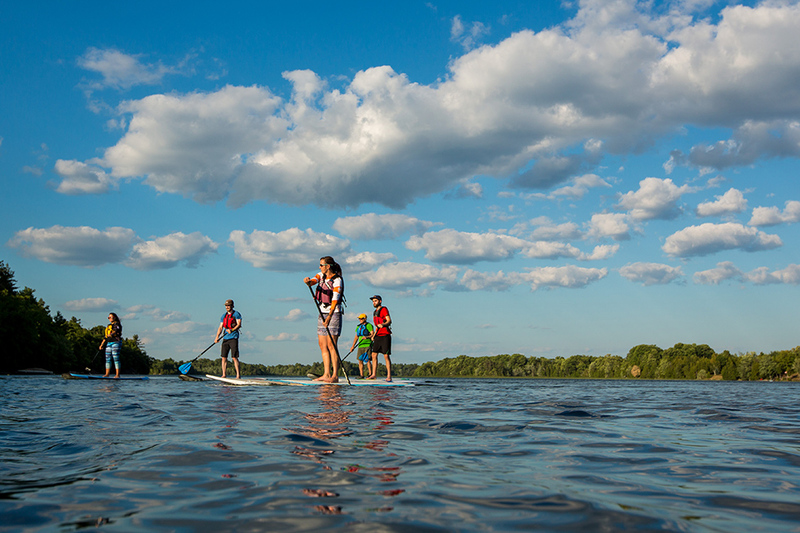 A relatively new paddling sport, Stand Up Paddling (SUP) has taken Kingston by storm. 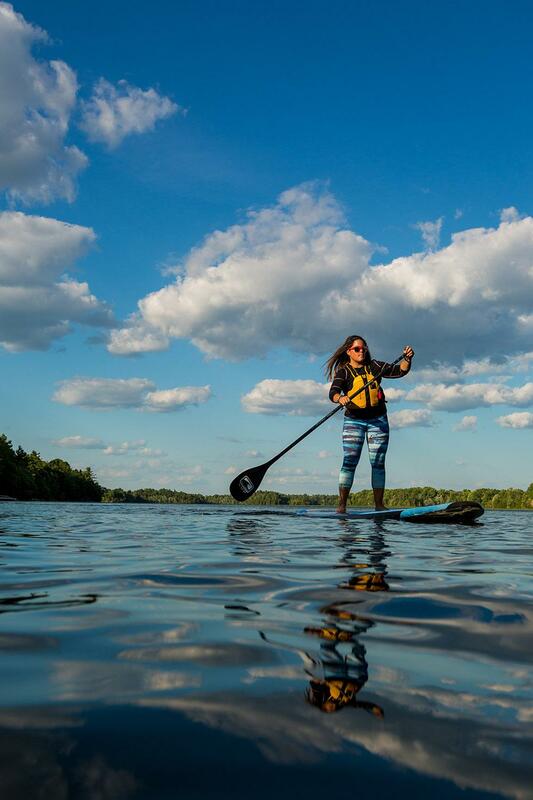 You will see SUP’ers at beaches, in cottage country, as well as paddling out in the waves of Lake Ontario. SUP boards are light, easily transported and give you a completely different experience on the water than any other paddle sport. And the learning curve is pretty quick! Ahoy Rentals rents by the hour, and offers SUP yoga classes and early morning social paddles. At Trailhead you can rent by the day and take a board to explore the waters north of town, or take their 90 minute intro clinic. We’re a sailing town. We have a number of sailing schools, we host an international sailing regatta (CORK), and we are a destination for sailboats from around the world. I am not a sailor. But, I did have the opportunity to go out for an hour long sail with Andrew from Ahoy Rentals earlier this summer, and it was pretty great! If you have experience, you can rent your own sailboat, but if you are like me and have no experience you can also book a charter. Offering anywhere from a one-hour to full-day charter (ranging from $110–$450 for up to 5 people), a 2-hour sunset tour, or a 3-hour picnic tour (catered by Pan Chancho) – you can design your own sailing experience! My boys and I hopped aboard his 24 foot sailing sloop, the Cygnet, and followed the shore towards Cedar Island. The conditions were perfect that day, with other boats out and enjoying the wind. As we returned back to the dock, the kids camp at the Yacht Club were just heading out for their daily lessons. This has been a hot summer! Take to the water to cool down…and see our magnificent waterfront from a different angle, by the power of wind, or by your own muscle. However you do it, you won’t be disappointed!